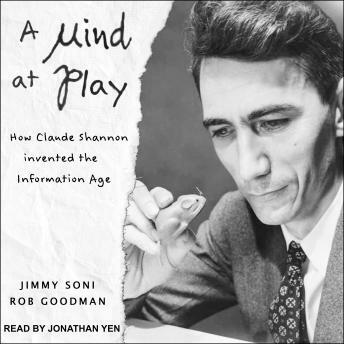 Now, Jimmy Soni and Rob Goodman bring Claude Shannon's story to life. It's the story of a small-town boy from Michigan whose career stretched from the age of room-sized computers powered by gears and string to the age of the Apple desktop. It's the story of the origins of information in the tunnels of MIT and the 'idea factory' of Bell Labs, in the 'scientists' war' with Nazi Germany, and in the work of Shannon's collaborators and rivals. It's the story of Shannon's life as an often reclusive, always playful genius. With access to Shannon's family and friends, A Mind At Play explores the life and times of this singular innovator and creative genius.